Sports presenter Rober Marawa is trending for all the wrong reasons this week. His ex-girlfriend and ‘baby mama’ , Zoe Mthiyane says the veteran TV man is a deadbeat dad. 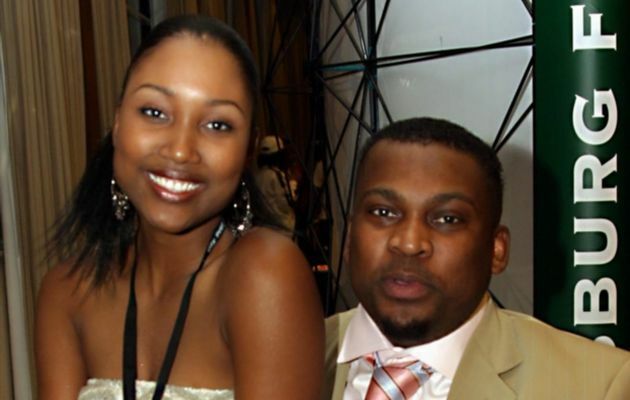 In an open letter posted on her Facebook page, Mthiyane makes it clear that she wants nothing from Marawa, but for him to be a father to their child. I hereby declare, I am a MOTHER and I write on behalf of myself and my son. I declare, your above comments are a blatant lie, meant to mislead and once again, intended to use your public figure status and your perception of power to dilute the issue of your responsibility to your son. I hereby declare that you have used the perception of your public figure personality and power to relinquish your responsibility to your only son, believing that my son and I will remain forever your victims, while you have been his absent biological father …by your own choice. I hereby declare, over the years I have stopped myself and many of my friends and family from reacting to your neglectful behavior toward my son. Friends and family, many of whom have seen me struggle alone to raise my boy. Next Post Do You Have What It Takes To Be A Citizen Of The Republic Of Extra Cold?